355 King Street West, also known as King Blue. 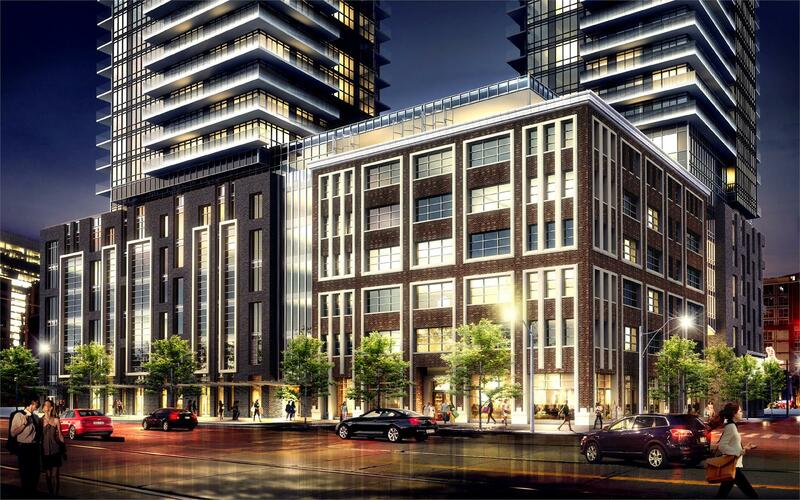 An artist’s rendering of 355 King Street West. 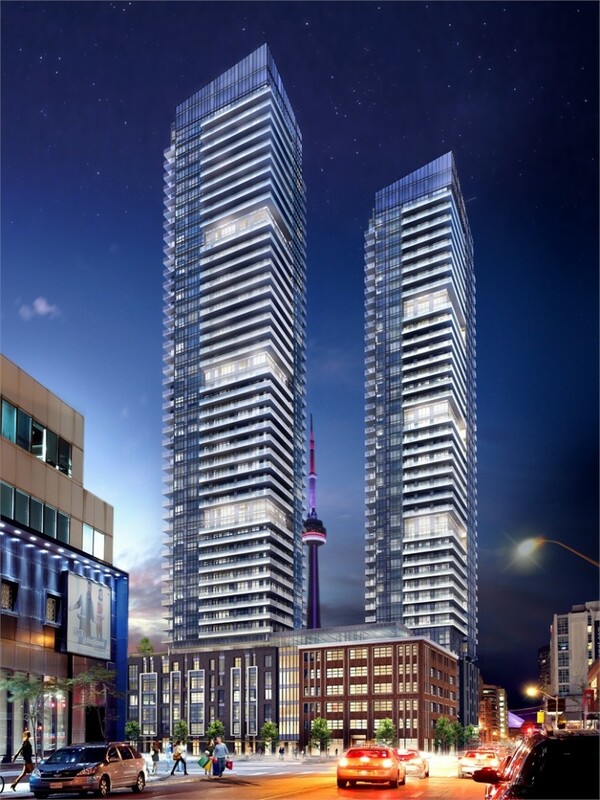 King Blue is a two-tower condo development in the heart of Toronto’s Entertainment District. 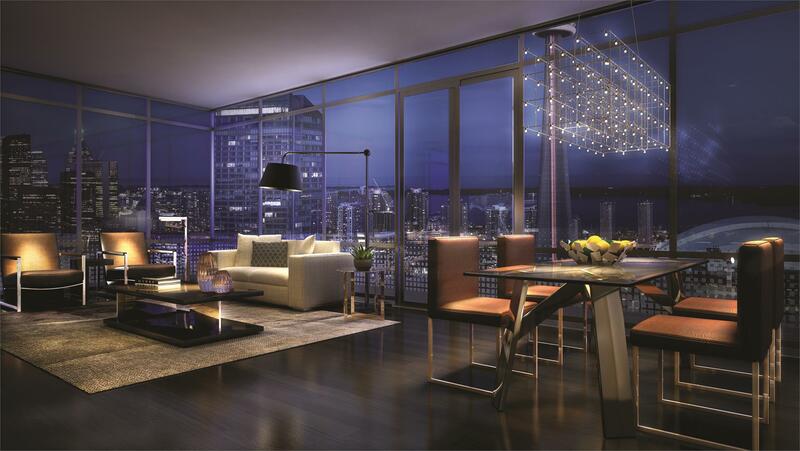 Currently in preconstruction, the 48-storey North Tower will feature luxurious suites, abundant amenities, and a world-class retail podium. King Blue’s lobby knows how to impress. 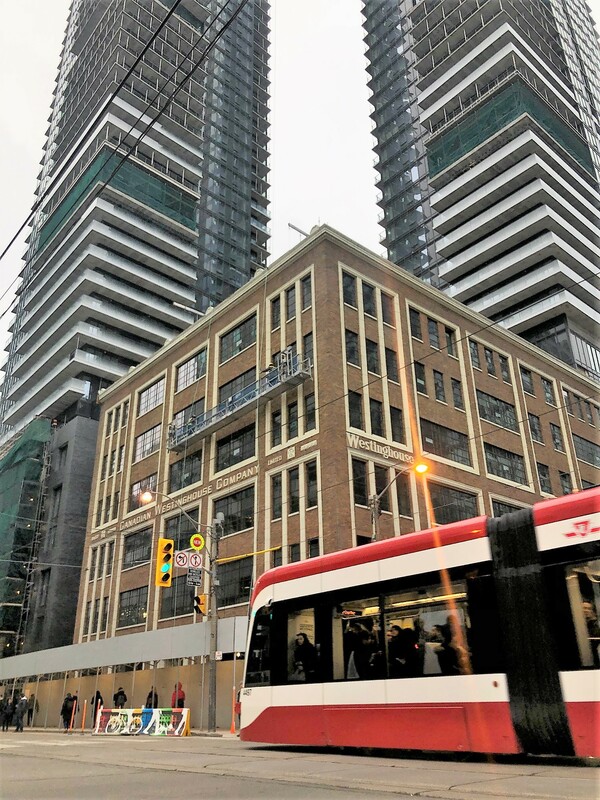 The building stands at the intersection of King Street West and Blue Jays Way, minutes from Toronto’s most iconic venues. With an occupancy date of June 2019, King Blue will put residents at the epicenter of amazing, giving them access to sports, theatre, music, fine dining, and upscale shopping. King Blue incorporates the North and West facades of the historic Westinghouse Building. Rather than tear down the old, the condo’s architects re-purpose it. 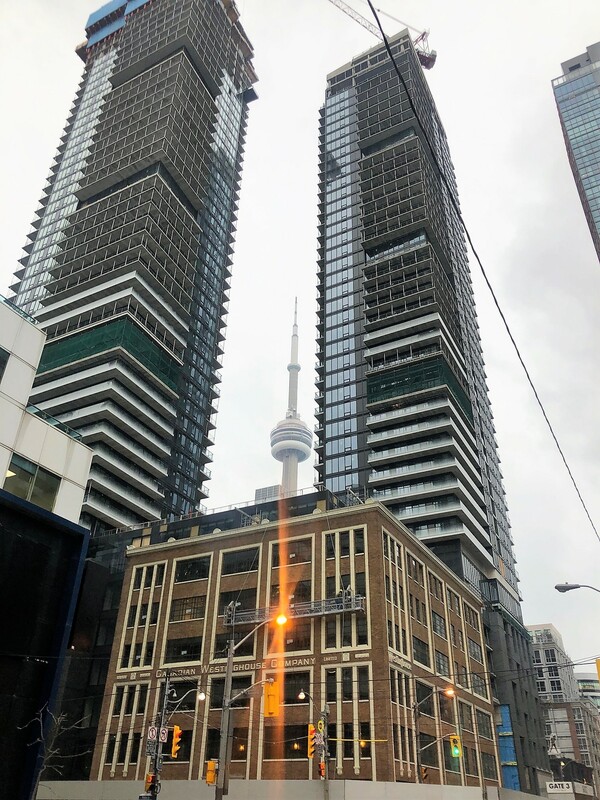 For example, the industrial brick walls of the Westinghouse Building lend the condo a warehouse vibe, while its 6-storey retail podium sports a very modern glazed-curtainwall. The buildings themselves are stylish yet understated, with crisp white lines set against dark brick. Although 355 King Street West is Greenland’s first Canadian development, it certainly won’t be the last. 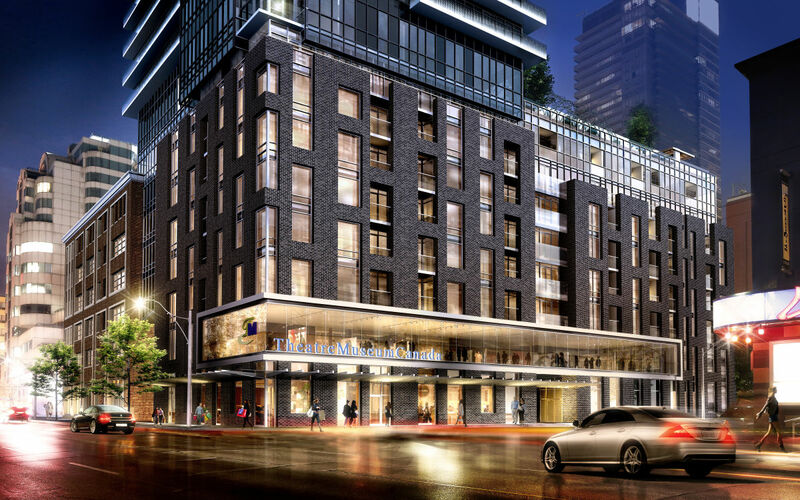 In fact, the Chinese firm is already building Canada’s first Theatre Museum and Primus-brand hotel, both of which will be located in King Blue. Here we can see the Theatre Museum, which spans an astonishing 10,000 square feet. 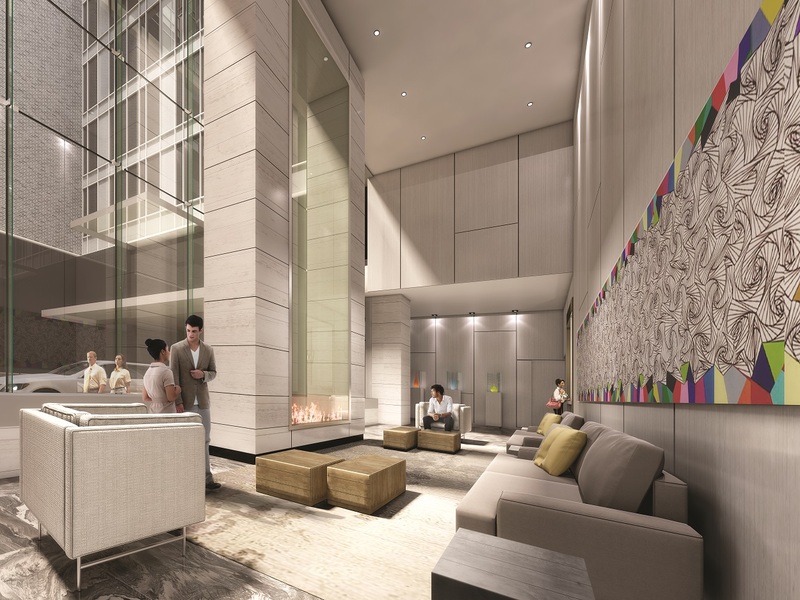 The luxury Primus hotel reportedly boasts 122 “over-sized rooms,” a rooftop terrace, and pool. Unit 1208 consists of 2 bedrooms, 2 baths, and a den. The apartment’s split layout offers ample privacy, while 9-foot ceilings add to the sense of space. King Blue’s master bedroom is beautiful and luxurious, complete with an ensuite bathroom and balcony access. Boasting a large closet, the 2nd bedroom opens up onto the spacious living and dining rooms. 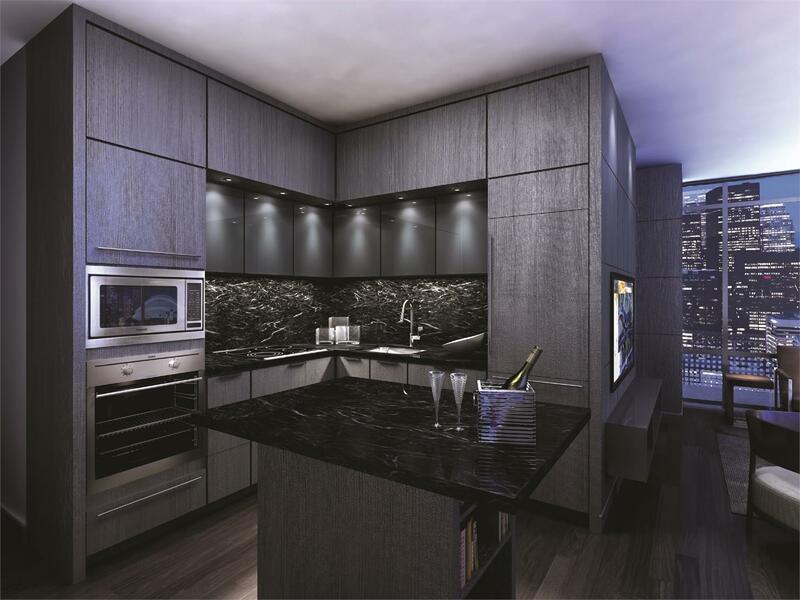 355 King West’s gorgeous kitchen flaunts a breakfast bar, stainless-steel or paneled appliances, and granite countertops. Artist’s rendering of a typical King Blue kitchen. Another highlight is the den, which functions as a storage area or office. According to BlogTO, every room has its own “exceptional touches.” This includes rough-ins for wall-mounted TVs, engineered hardwood floors, floor-to-ceiling windows, and marble accents in the bathrooms. Speaking of which, Unit 1208 has two. The first bathroom is part of the master suite, while the second is in the foyer. Finally, there’s also a small laundry room with a stacked washer and dryer, making every wash easy and convenient. This terrace combines form with function. 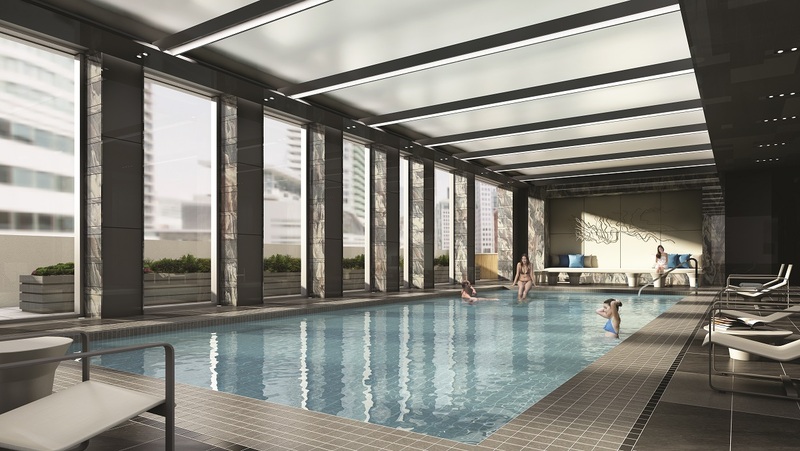 This full-sized pool is just another perk of living at 355 King Blue. 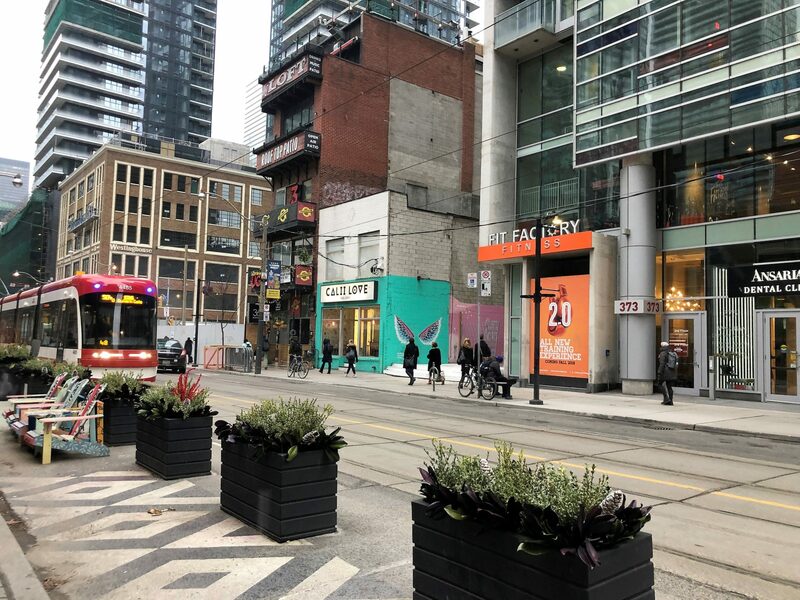 King Street is always bustling with people and activity. The biggest highlight of living at King Blue is (of course) the entertainment, all of which is within walking distance. 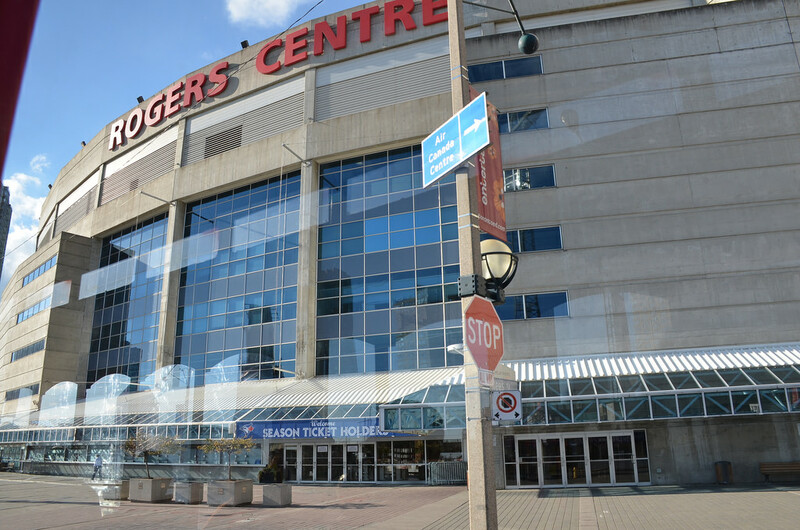 For example, sports fans can take a 7-minute walk to the Rogers Centre and catch a Jays game. 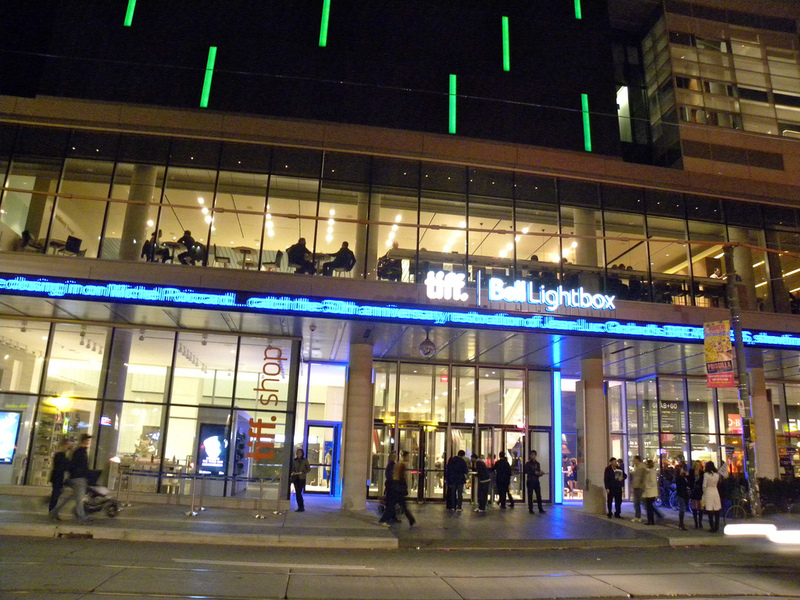 Movie buffs can stroll 130 metres to the Bell TIFF Lightbox on King West. This cultural landmark is home to 5 theatres, 2 restaurants, several galleries, a reference library, and gift shop. Prefer live entertainment? 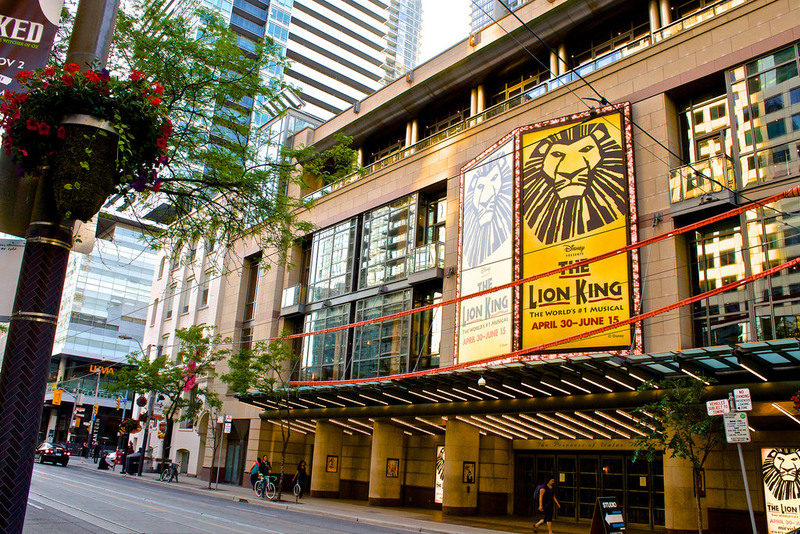 King West has you covered with two prominent theatres. First, there’s the Princess of Wales, a mere 3-minute walk from King Blue. There’s also The Royal Alexandra Theatre, which is just 5-minutes from King Blue. A national historic landmark, the Alex’s roster of shows includes modern hits like Come From Away and Dear Evan Hanson (winner of 6 Tonys). 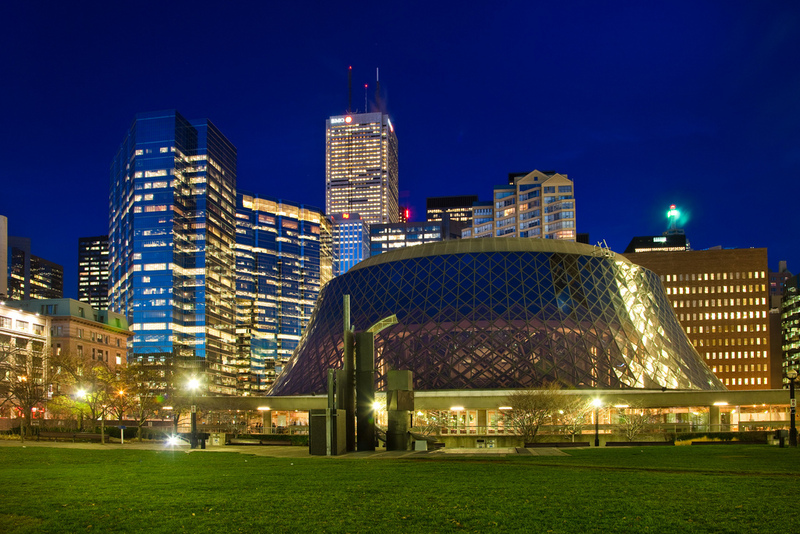 Finally, music lovers can take a 5-minute stroll to Roy Thompson Hall on Simcoe Street. In addition to classics like The Nutcracker, the venue also performs movie soundtracks, puts on documentaries, and hosts comedians such as Alec Baldwin and Jay Leno. 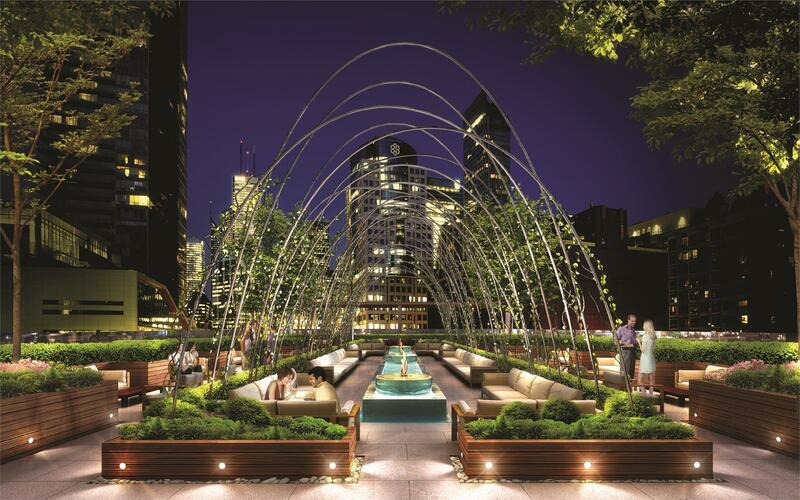 King Blue’s rooftop deck is the perfect place to relax and mingle. 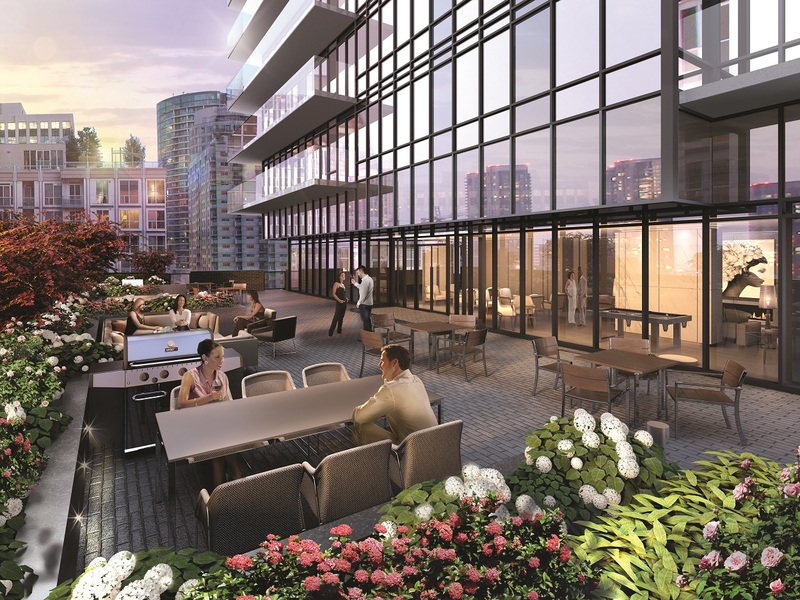 Besides 2 bedrooms, 2 baths, a den and countless amenities, the best part about living at 355 King Street West is the huge array of entertainment options. There’s something here for everyone, from music and sports to arts and culture. Best of all, you don’t need a car, bus or Uber to get there. All it takes is a short walk. Interested in living at King Blue? Contact me below for more details.